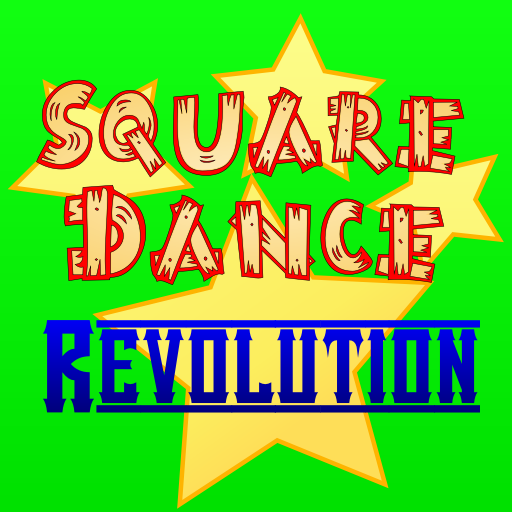 Square Dance Revolution is a square dance calling game, in the spirit of the other "______ Revolution" games. 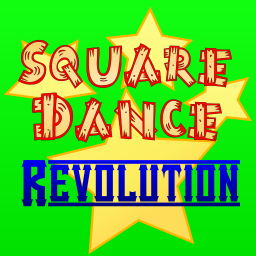 It is a voice-controlled game, and you get points for calling varied interesting square dance material, with good flow, and for successfully resolving the square (often, but not too often!). 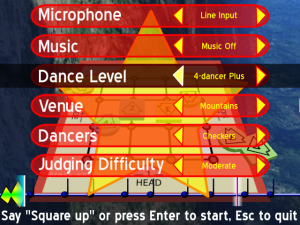 In addition, there are special challenges as you advance: a dancer drops a personal item, and you must give calls which move that dancer over to where the item ended up so that they can retrieve it (before the janitor gets it! 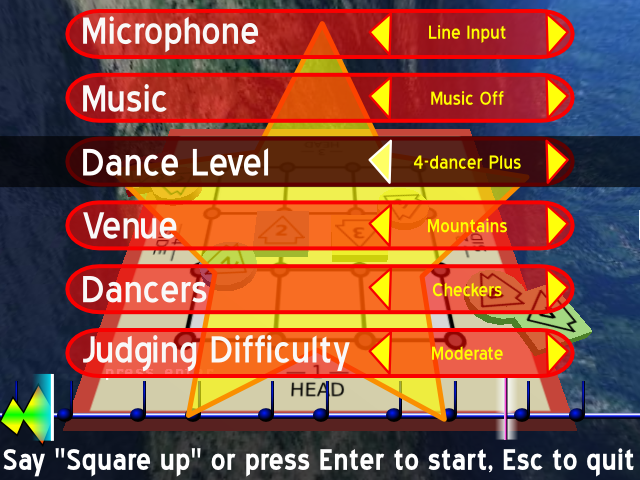 ); bonuses for getting to specified formations within a certain number of calls, you can call at several different callerlab program levels, for 4-dancer, 8-dancer, and (eventually) 6- and 12-dancer setups; the dancers dance arky, play games, or are visually indistinguishable; and squares may have turkeys in them (dancers who do the wrong thing). SDR is still in heavy development. I'm posting sources "early and often" here for the curious; there is also a link below which will download and run the latest version on your machine using Java Web Start. This link probably is not a fully functioning game (yet! ), but you can see some graphical elements and get a feel for where development stands. New! There is also a web interface to the square dance backend of SDR. You can try it out at square-dance.appspot.com. Like the rest of SDR, it's probably not actually useful for anything yet. SDR is currently at version 0.7. You can download the latest version, see changes in the latest release, more recent changes at ohloh or github, or browse the API documentation on-line. SDR is licensed under the GNU GPL. You can also run the application on-line using Java Web Start. 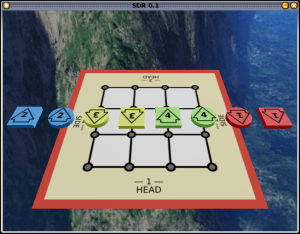 SDR requires modern accelerated 3D graphics hardware to run at a reasonable rate. I suspect that most modern graphics cards will qualify, but do try to run it on a machine on which you'd feel comfortable playing a graphics-intensive game. I've created a mailing list. Sign up to receive mail when new versions of SDR are released. You can also follow the project on ohloh, github, or LiveJournal. lots of test cases added! web frontend, more engine work. 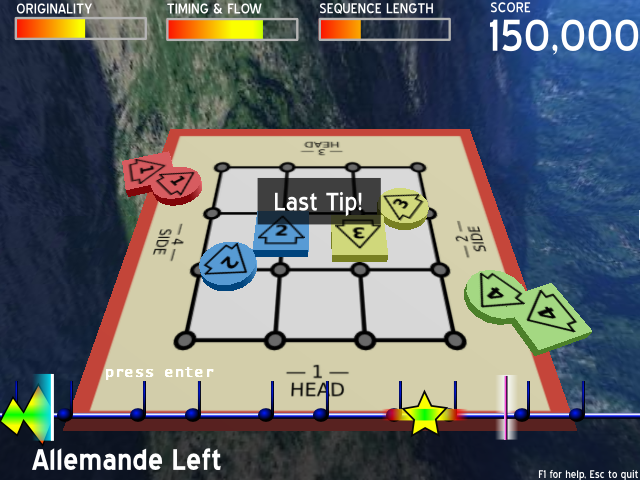 definitions for almost all of Mainstream; merged web frontend and implemented bigon, hexagon, and octagon dance modes; added PMSD text-based interface and test cases based on it; implemented resolver based on Dave Wilson's ocean wave method; reimplemented square breathing based on Cassowary constraint solver. Refactor ChoreoEngine, speech recognition, and PMSD; lots of call definition work.